Wally Phillips, 36, also grew up bashing gates. He raced at Seven Springs, a ski resort near Donegal, Pennsylvania. His parents put him in rear-entry boots, which he promptly broke while skiing the mountain between training runs. That was the beginning of Phillips’ obsession with gear, which led him to Utah where he landed a job helping others find the perfect ski set-up at Backcountry.com. Dave Stergar arrived at Big Sky in 1992. He worked the graveyard shift as a bellman at The Huntley, a job that freed his days to explore the mountain. He fell in love. Now, at 49, Stergar teaches science to seventh graders in Helena, two hours away. But he may as well still live at Big Sky. He spends every day off lapping the tram, skiing big runs like the Dictator Chutes in 10 turns or fewer. Stergar is an animal. 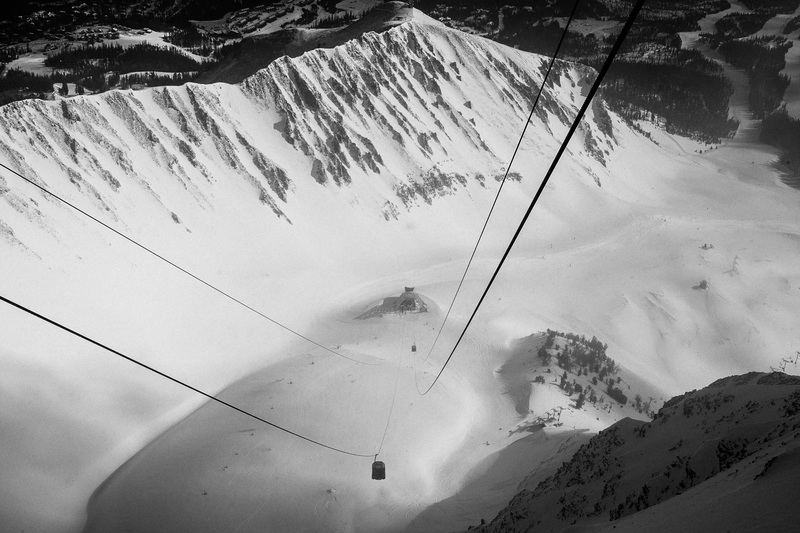 The other 30 skiers on the Powder Union have their own great stories. Jed Donnelly is a 37-year-old snowcat driver from Butte, Montana. Tyler Bradford, 32, is a California boy who skis bumps at Heavenly and has won the Ironman three times for most laps at Glen Plake’s Gunbarrel 25. Every skier on the Union has oriented their lives around being in the mountains. 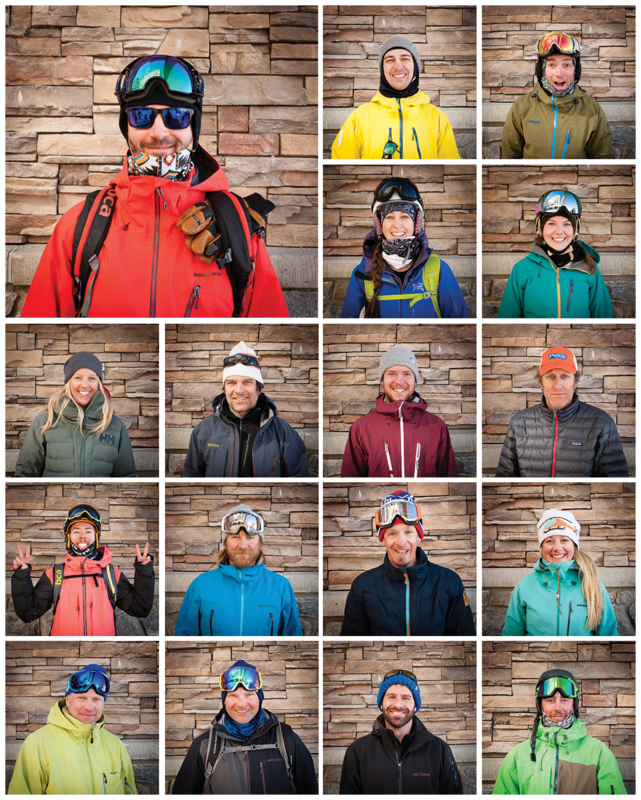 They are influencers in their community, selected to the Powder Union for their dedication to skiing and knowledge of gear. They are also the voices in this guide. 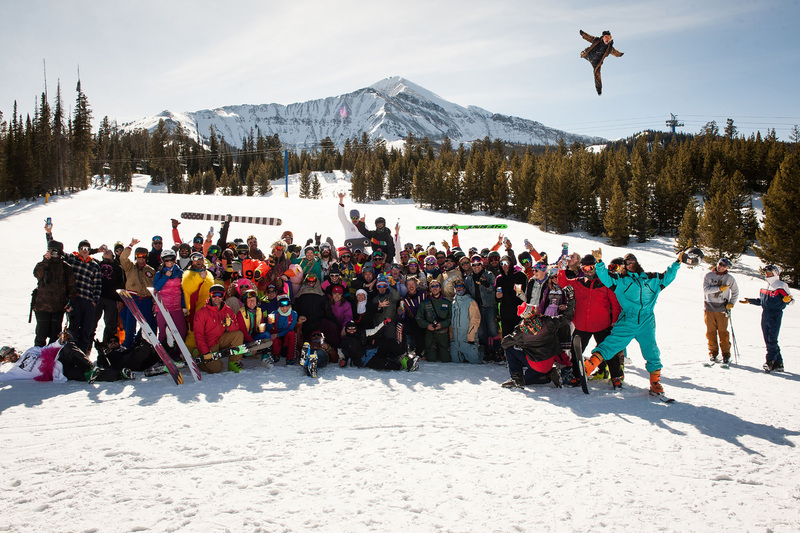 Powder Week arrived at Big Sky Ski Resort the second consecutive year at the end of February. Every morning and afternoon, skiers were paired with a ski brand and sent to the mountain to get the feel for the next crop of boards. They provided their feedback on every ski they took out on the hill. 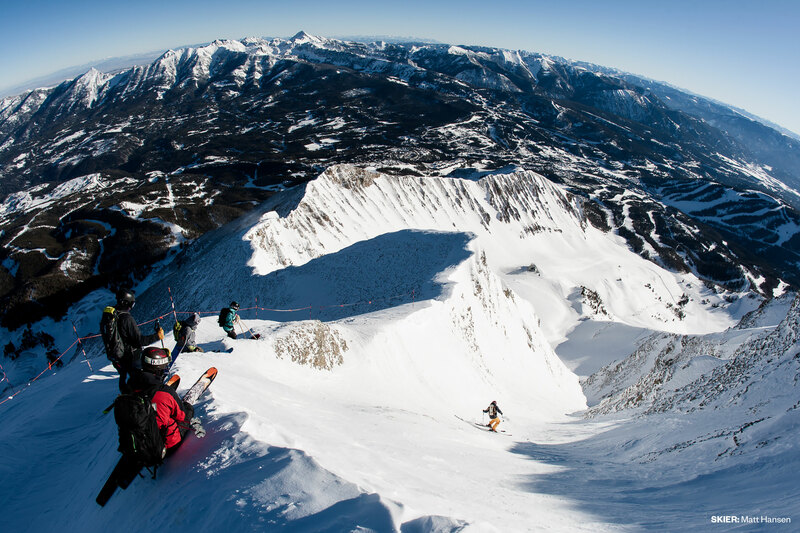 The second largest resort in the United States, Big Sky offers all terrain imaginable, from blistering groomers to massive rock-lined couloirs to exposed fields of wind-blown chalk. 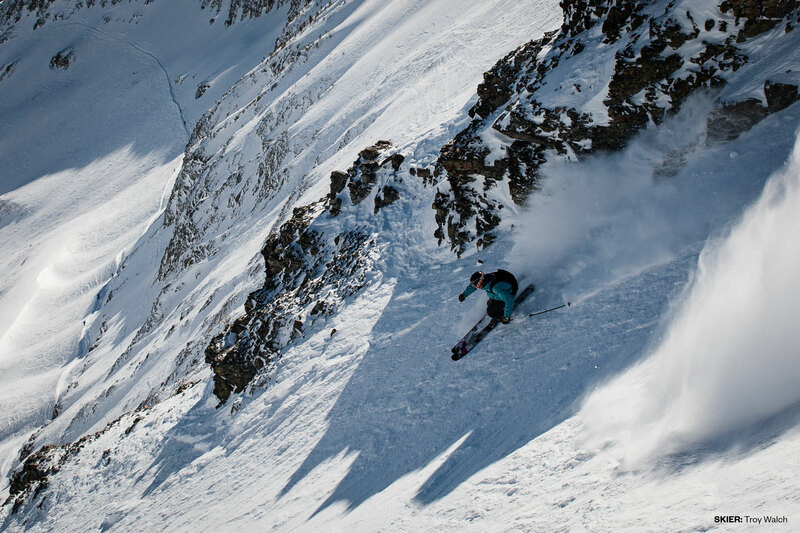 It’s the kind of mountain that tests not just your equipment, but your skiing. The Powder Union gravitated toward skis with strong and durable construction, thick sidewalls, and trustworthy edges. 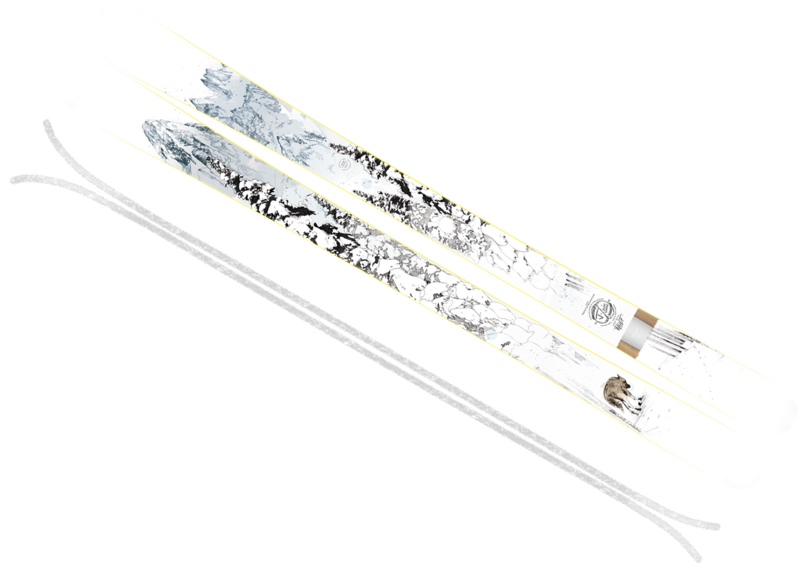 Out of more than 200 skis, 11 rose to the top with positive reviews across the board. Those top skis are separated from another 55 skis that also won favorable marks, listed in Gear Locker. The skis selected are not for the faint of heart, nor the privileged who only go out when conditions are perfect. They are for skiers who spend their lives getting after it on steep, technical terrain every day. They are recommended by Victory, Phillips, Stergar, Donnelly, Bradford, and the other Powder Union members. They’re skis for the ex-racers, the diehard weekenders, the locals, the middle school teachers. For skiers just like you. After the acclaimed 2016 debut of the Enforcer 100, this year Nordica introduces the same ski in a 93-millimeter-width underfoot. It was a runaway favorite at Powder Week, leading the pack among narrow skis on the steep, technical terrain at Big Sky. The ski has limited rocker and, as a result, lots of edge contact. 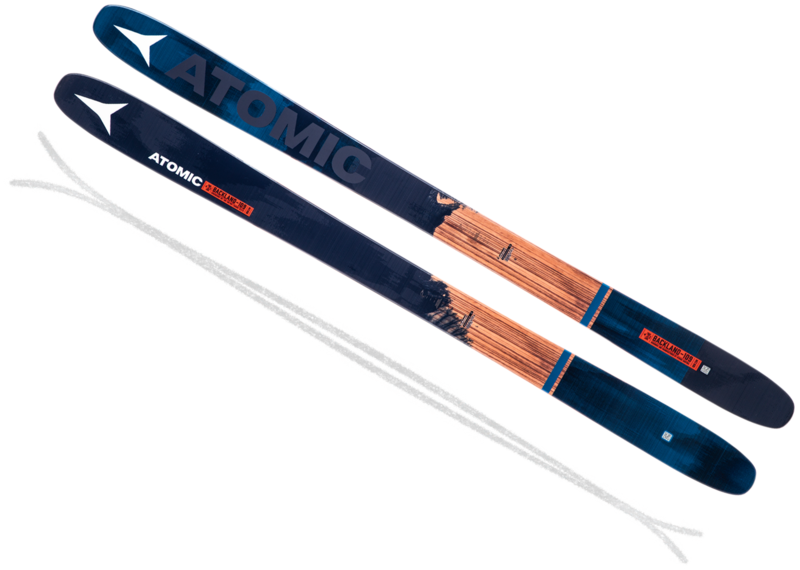 Add in two sheets of metal and a wood core and the Enforcer 93s are quick, chatter-less, and hold up under aggressive skiing. “It feels like you can bomb a steep pitch and then shut it down before heading in to the trees with quick, tight turns,” says Kade Krichko, a Seattle-based writer who survives on Top Ramen. 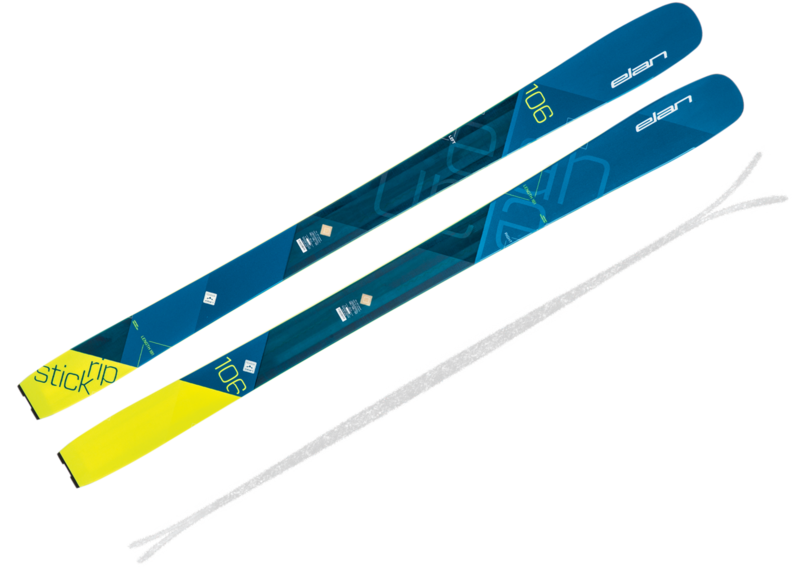 The QST 106, a fast and smooth ski unveiled this year, is Salomon’s quiver killer. Across the board, the Powder Union loved this ski, with exception to those who prefer butters and skiing backward. The solution starts with the Spaceframe wood core, milled to lighten the ski up. An edge-to-edge sheet of titanal that extends beyond the mounting zone and a layer of Salomon’s carbon-flax blend top off the construction. The Union reported a light and maneuverable ski with the drive and backbone to respond when they powered down. “I skied these down smooth wind buff off the Lone Peak Tram and they performed excellently,” says Dane Weister, a ski tech at Gallatin Alpine Sports in Big Sky. 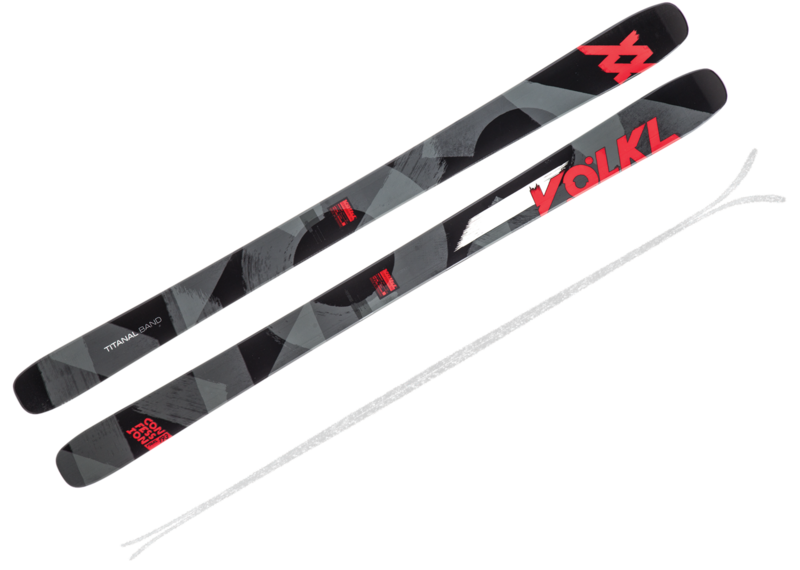 “They are very stable at higher speeds with little to no noticeable chatter throughout the entire ski. 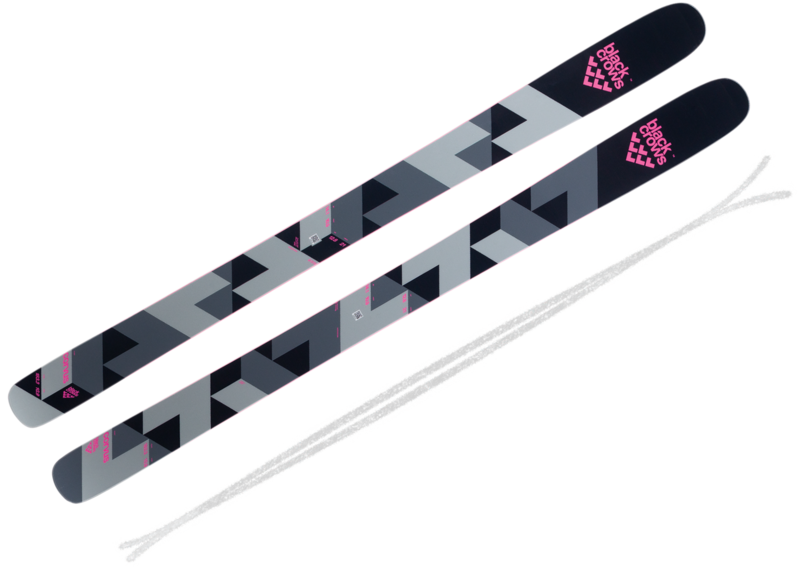 The edge hold is very solid and overall they never leave you in doubt.” The Stella 106 is the women’s version of this ski, varying only in its topsheet and mounting point, and the Union ladies loved it, too. “If you rip the resort with the occasional powder day, this is your ski,” says Matt Hansen, a sometimes mustachioed skier from Jackson Hole. 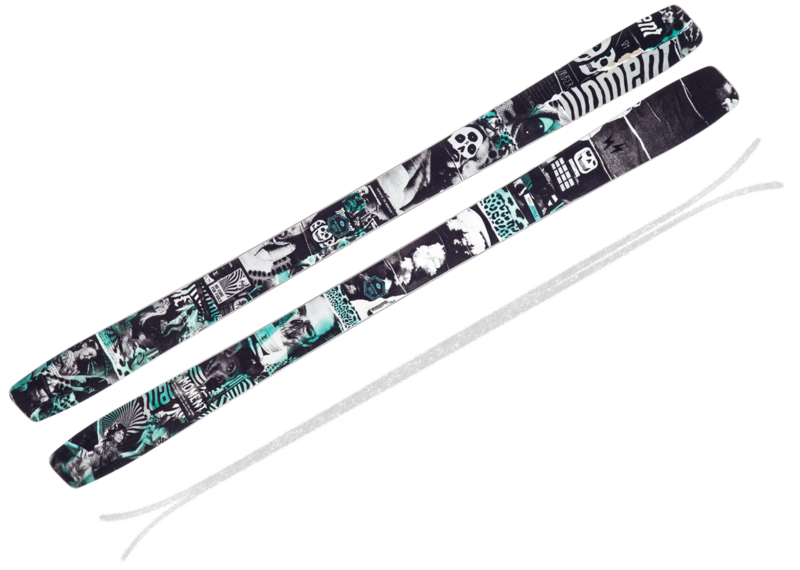 New from J Skis, the Masterblaster is fast, maneuverable, and, simply, really fun. 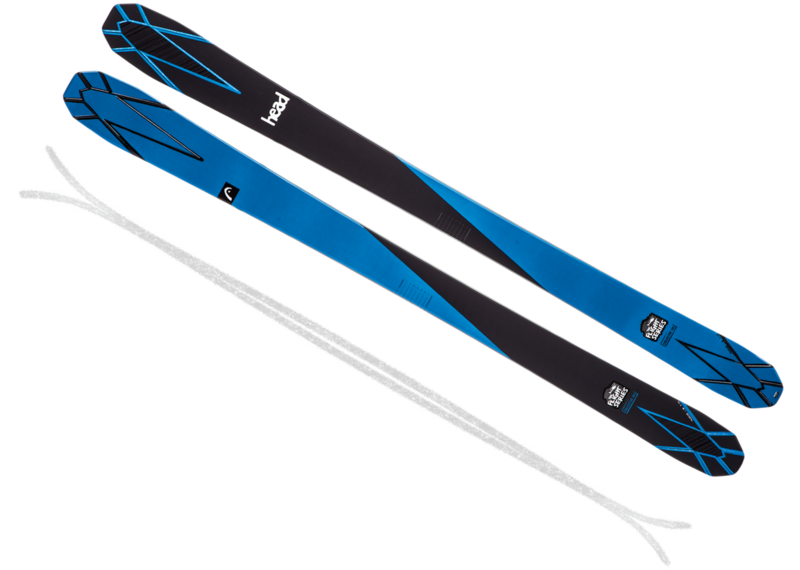 Made with a maple wood core, the strip of titanal in this nimble ski is only six centimeters wide and tapers out before the tip-rise, making it easy to initiate edge-to-edge turns and giving it enough backbone to power through crud. The edge hold is bomber, but the Masterblaster had no problem skiing in six inches of powder, either. “Fat skis feel lifeless and boring next to this all-mountain shredder,” says Hansen. It’s easy to find a lightweight touring ski. The challenge comes in locating one that can go beyond meadow-skipping pow to straight charging the fall line. Leave it to Blizzard to nail it with the Zero G. “I won’t say it’s the perfect backcountry ski, but with its combination of low weight and stability in all conditions, the Zero G gets pretty dang close, especially if you like to ski powder,” says Matt Hansen, a guy whose number one goal is to ski powder with friends. 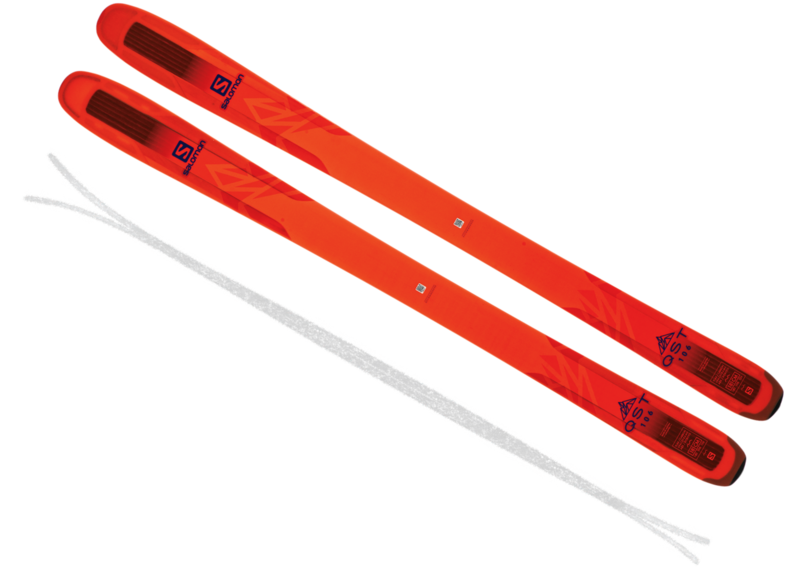 With a paulownia wood core, three layers of fiberglass, carbon for stiffness, and vertical sidewalls, the Zero G weighs just 1,750 grams per ski. Getting up the skin track is efficient and the low swing weight makes it easy to manage tight turns in scary terrain. It really shines when you step on it. Rocker up front and camber underfoot, this ski loves to rip powder, drive through the chop, and hold an edge in chalky couloirs. The new Backland FR 109 has the difficult task of replacing and updating the popular Automatic 109. It succeeds in varying degrees. 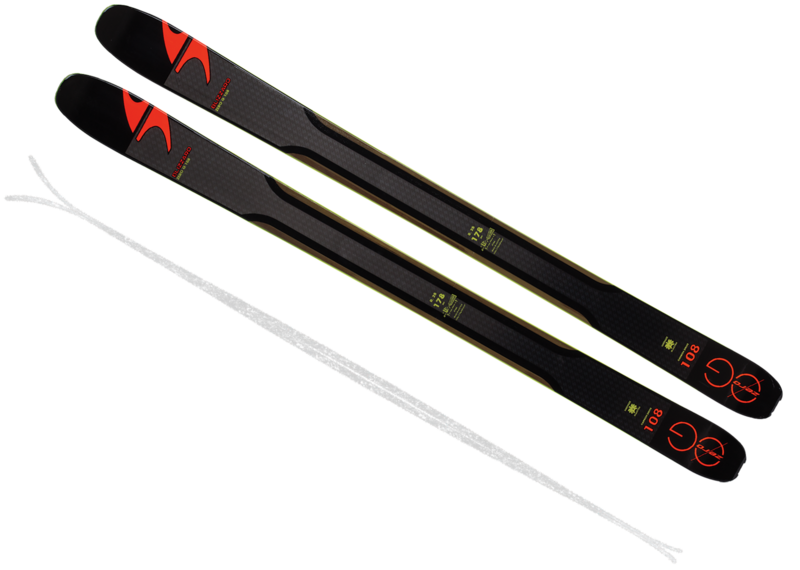 The addition of HRZN Tech lite—a lighter weight version of a feature initially found in the Bent Chetler, where the tip is rounded off at the edges—enhances the ski’s flotation, which was the one flaw of the Automatic. The biggest difference, however, is a new, lighter poplar core. While this removes some of the power of the old Automatic, it makes it more suitable for soft snow and backcountry missions. “Light, nimble, super playful,” says heavy machine operator Jed Donnelly. “It held a great edge, but schmeared very easily.” The women’s Backland also received excellent reviews at Powder Week. 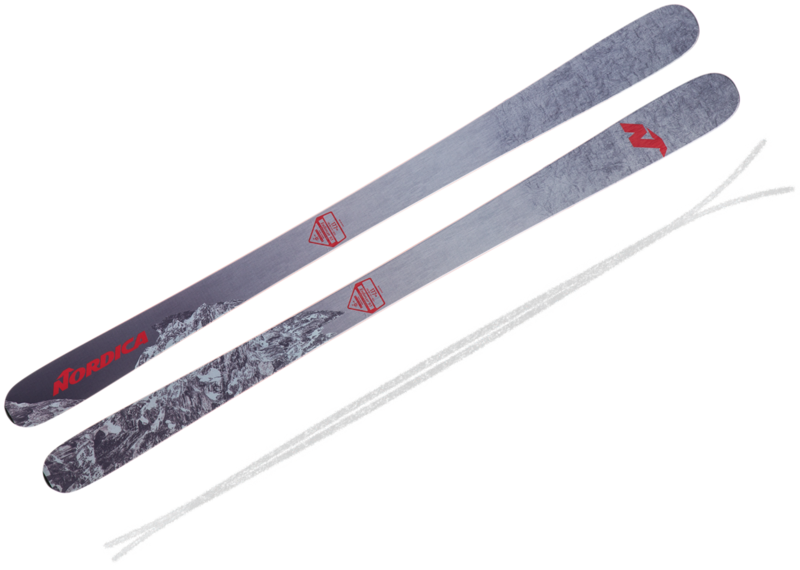 At 120 millimeters underfoot and only available in a 190-centimeter length, the Super 7 RD was designed specifically for strong, aggressive skiers. “This is a hard-charging ski with a huge turn radius. I’d ski them every day,” says Sam Cox, a Bozeman-based smokejumper. 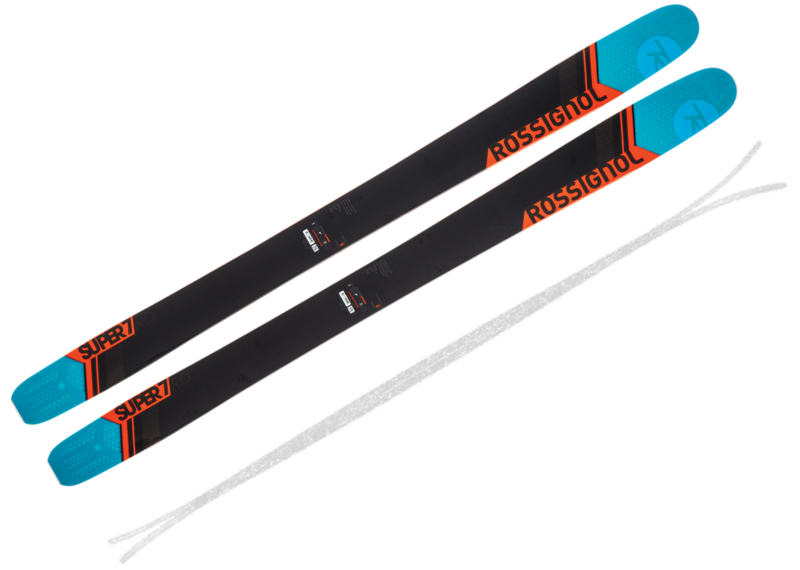 “Fast and wide-open skiing.” Rossignol’s revamped S-series construction—a paulownia core with Carbon Alloy Matrix, a blend of carbon and basalt in a diagonal weave—breathes life into the ski and keeps the weight down without any compromise. The Powder Union reported it as stable, damp, quiet, and quick on edge for such a big ski.